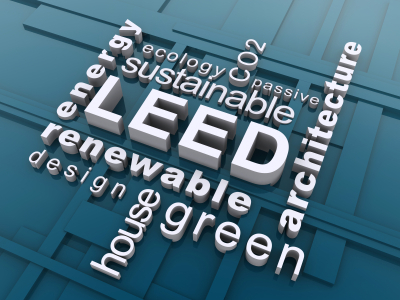 Almost all school projects are seeking LEED certification these days. The use of energy efficient equipment and variable demand exhaust systems are part of every school project. An increased number of Energy Star rated appliances has helped schools reduce their utility consumption. This common sense trend toward using energy efficient equipment will continue far into the future. Energy saving exhaust systems and an emphasis on reducing water and waste are common elements of most K-12 design projects. Low-flow faucets and warewashing equipment with very low water requirements are becoming the standard in every school kitchen. The days of operating a warewasher that uses 400 gallons of water per hour are over. Many school systems are abandoning the use of garbage disposers and are instead pursuing composting programs. Tray return stations are quickly becoming recycling stations where students separate the waste from the recyclable materials. Reducing the carbon footprint of schools is gaining popularity. Purchasing produce from local farmers rather than from across the country is a real trend. Today’s kitchen designs have to account for the logistics of fresh produce preparation as compared with opening ready-to-serve produce. Many school systems are returning to scratch cooking, particularly with baked products. The perception that scratch cooking produces fresher, healthier food and happier students is driving this trend. Students are willing to experiment with new foods, especially in high school. The diversity of student populations is also driving a need for more variety in menus. Students have become used to dining and socializing in food courts and want to have the same kind of atmosphere at school. They don’t want to feel like they are in an institutional setting. 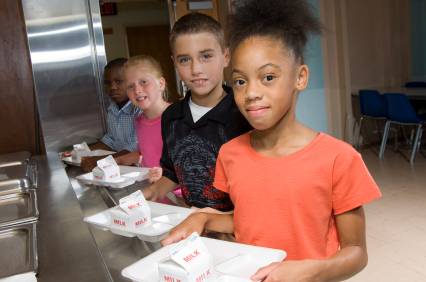 Participation rates at schools that have a commercial feel are significantly higher than rates at schools utilizing the traditional linear serving line. Many school systems are returning to scratch cooking for fresher, healthier food and happier students. National news coverage of food-borne illness outbreaks has made school administrators more aware of the need for food safety. Because the number of U.S. children with food allergies has increased significantly in the last ten years some school systems have incorporated nut-free or gluten-free options. And to accommodate food preferences some schools have expanded the menu to include items such as vegan choices. Unlike commercial operators, school systems plan to use foodservice equipment for many years rather than planning for replacement five to seven years in the future. As a result the equipment chosen for a school kitchen must be flexible enough to serve the program through a wide variety of menu trends that will occur over a 20 or 30 year time horizon.